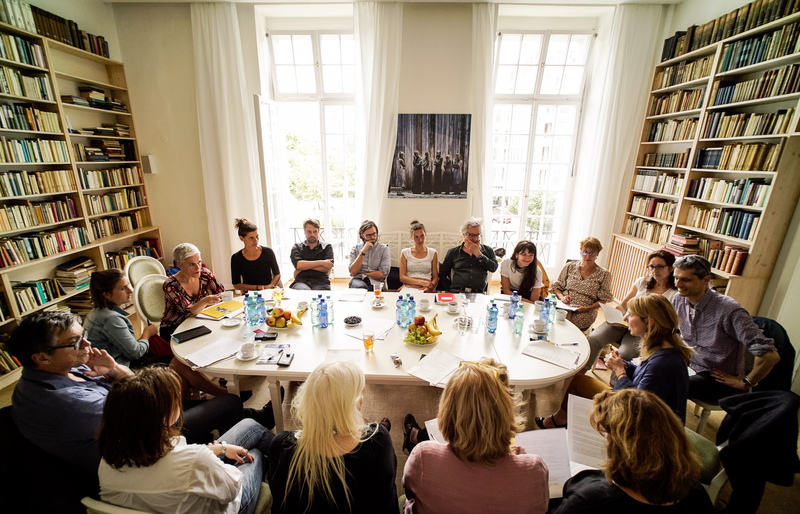 As the largest network of public theatres in Europe, the ETC has about 40 European Members from over 20 countries, reflecting the diversity of Europe’s vibrant cultural sector. Founded in 1988, the ETC promotes European theatre as a vital platform for dialogue, democracy and interaction that responds to, reflects and engages with today’s diverse audiences and changing societies. 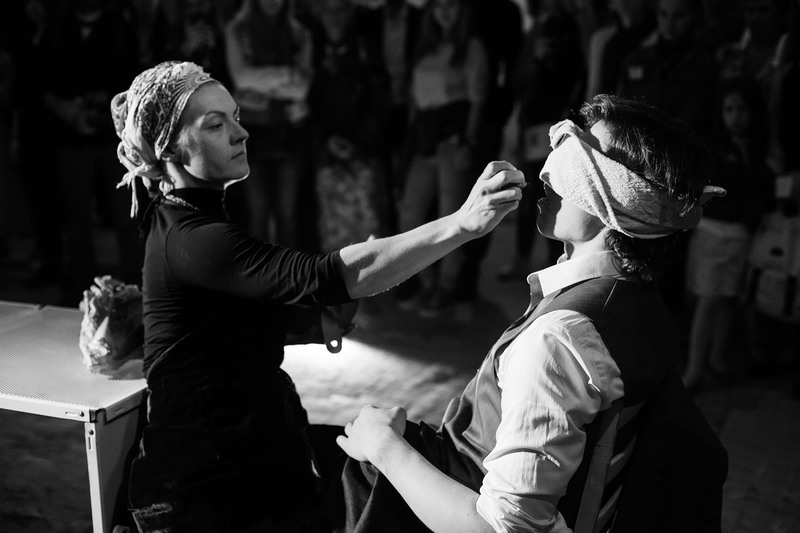 The ETC’s current four-year "ENGAGE: Empowering today's audience through challenging theatre" programme offers our Member Theatres many opportunities and project possibilities. This comprehensive, groundbreaking programme is supported by the Creative Europe Programme of the European Union. The ETC project Young Europe 2 was selected as one of the European Union "Success Story". The project European Theatre Lab won "Spotlight on Heritage in Culture and the Arts", a special Pearle* award for an individual organisation’s outstanding achievement. Serge Rangoni studied at the Conservatoire of Brussels. 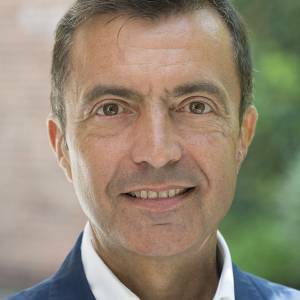 After working in various theatre institutions and at the Ministry of Culture, he was designated in 2004 as General Manager of Théâtre de Liège. Under his leadership, the theatre received the titles of “European center of theatrical creation and choreography” and “Centres for Drama” in the French-speaking area of Belgium, affirming its role in theatrical and dance productions and their dissemination to local and international audiences. Since his arrival at its head, the institution has developed considerably, with now an audience of 65,000 and more than 180 performances a season. Théâtre de Liège is today the leading stage in Wallonia. Paulien Geerlings is a dramaturge, translator and yogi. After her high school education, she studied Philosophy and Theatre studies at the University of Amsterdam. 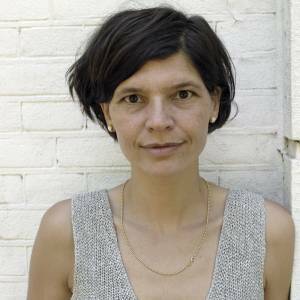 In 2004 she graduated at DasArts, an international, multidisciplinary Master of Theatre, based in Amsterdam and founded by Ritsaert ten Cate. Between 2004 and 2006, she has been working with Theatre Company Dood Paard. In 2006 she became dramaturge of Ad de Bont, playwright and artistic director of youth theatre company Wederzijds. This company merged with Liesbeth Coltof’s Huis aan de Amstel in 2009 and became De Toneelmakerij, the Amsterdam theatre company for young audiences. Since its establishment, Paulien Geerlings is the in house dramaturge of De Toneelmakerij. As dramaturge, she has a strong focus on new writing, coaching of playwrights and supporting writers initiatives. She translated several plays for De Toneelmakerij. She is also taking care of the international collaboration projects of the company. She is Vice President of the European Theatre Convention and Board Member of Assitej NL. Next to her work in theatre, Paulien Geerlings is yoga teacher and practitioner. Jan Linders studied German Literature, Philosophy, History of Music at the University of Hamburg (Germany) and at the Johns Hopkins University Baltimore (USA) and received his M.A. in 1990. He was apprentice and assistant of Niels-Peter Rudolph, George Tabori, Andrea Breth, Achim Freyer, Robert Wilson. Through productions in the Netherlands, Luxemburg, Italy and France he gained international theatre experience. 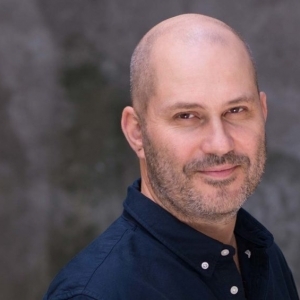 As director of the theatre department of Theater Heidelberg, he initiated a two-year theatre cooperation with Teatron Beit Lessin, Tel Aviv (Israel) from 2009 to 2011. 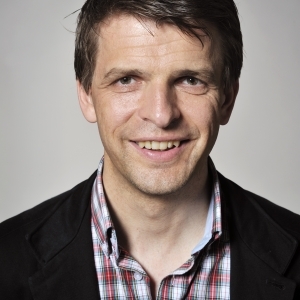 Since the season 2011/12, Jan Linders has been engaged as the director of the theatre department of Staatstheater Karlsruhe (Germany) where he started cooperations with the partner cities Nancy (France) and Timisoara (Romania). He also initiated the festival "Premières" for young European directors. Dubravka Vrgoč started her career as a theatre critic and journalist, and soon afterwards contributed as author and scriptwriter to various TV and radio programmes. She completed her studies as dramaturge at the University of Zagreb (Croatia). Throughout the last 20 years, she acted as jury or board member of diverse Croatian cultural activities with an international profile such as the “International Puppet Festival”, the Croatian centre of ITI-Unesco, or the “Croatian Drama Festival”. Dubravka Vrgoč worked for the Ministry of Foreign Affairs with the Croatian government and as international relations advisor for the cultural department of the City of Zagreb. She conducted research projects on “Theatre for the 21st century” in London and in New York, has been invited to numerous meetings and conferences as Croatian cultural expert organised by the Council of Europe or UNESCO and has ever since strongly supported and engaged in youth work, both on a political and artistic level. Bettina Pesch studied Media, Ethnology, Industrial, Commercial and Social Law before she graduated in Industrial and Media Law in 1985. She dedicated a part of her career to the opera field and worked with various houses such as Deutsche Oper am Rhein or Oper Leipzig. She has always developed European and international projects to promote cooperations for opera and musicals. Bettina Pesch also committed herself in both economic leadership and legal structure of the organisations she worked with. From 2001 to 2006, Bettina Pesch worked as General Director of Rundfunkorchester & Chöre GmbH Berlin. She then became the General and Executive Director of Theater Dortmund until 2017, when she joined Theater Magdeburg as Administrative Director & Deputy General Director. Joachim Klement studied in Cologne and Munich (Germany). Later he had various engagements as a dramaturge, among others in Wilhelmshaven, at the theatre in Graz (Austria) and at the Deutsches Schauspielhaus in Hamburg. From 1996, he was Senior Drama Dramatist at the National Theatre Mannheim for three years. Subsequent to this in 2004, he became Chief Dramaturge and deputy to the General Intendent at Bremen Theatre. In 2006/2007, he moved to Düsseldorf Schauspielhaus in the same capacity. Joachim Klement was then General Director of the Staatstheater Braunschweig before becoming General Director of the Staatsschauspiel Dresden. Michel Didym graduated from the French drama school of the Théâtre National of Strasbourg (France). He worked with several stage directors such as Heiner Müller or Georges Lavaudant. He also made various appearances in film. He turned to the directing side by becoming the artistic collaborator of Alain Françon and founded his own theatre company in 2001. 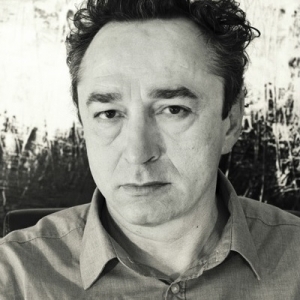 Michel Didym is currently the Artistic Director of the Centre Dramatique National Nancy Lorraine – La Manufacture. Since his arrival, he established new festivals dedicated to promoting contemporary writing and new forms in theatre such as ‘RING – International encounter of a new generation’. In addition, he continues his work as director both for theatre and the opera and toured across the world, initiating numerous international collaboration projects. Michel Didym founded his own theatre company and is regularly working with Théâtre de la Colline and Théâtre de la Ville de Paris, as well as the Festival d'Avignon (France). Iris Laufenberg studied "Drama, Theatre and Media" in Giessen (Germany) until 1991. After working in Bonn and Bremen, she worked as a dramaturgue and artistic director of the international Bonn Biennale Festival, focusing on contemporary European drama. 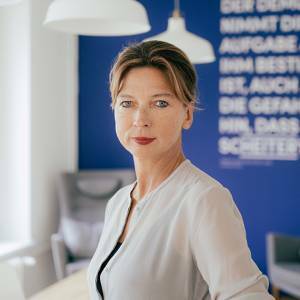 She was the director of the internationally reputable festival Theatertreffen in Berlin from 2002 to 2011, where she again focused on the promotion of current European drama at the Stückemarkt. As the director of drama at the Konzert Theater Bern (Switzerland) from 2012 to 2015 she emphasized the importance of international productions and began her work with interdisciplinary and site-specific projects. 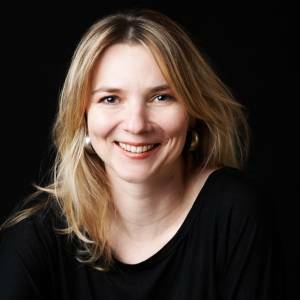 Since the 2015/16 season, Iris Laufenberg has worked as the managing director of the Schauspielhaus Graz (Austria). Among sharpening the profile of contemporary authors by founding the "Dramatiker|innenfestival" of Graz, she goes on pursuing the development of the city theatre concept beyond content genres and geographical boundaries. Erik Ulfsby has been artistic director of Det Norske Teatret (Norway) since 2010. The theatre is one of Norway’s two national theatres and a pioneer in the Nordic theatre world. 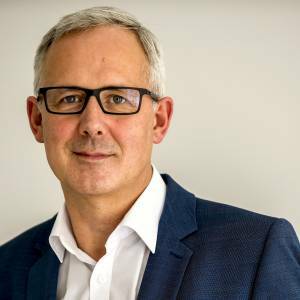 Ulfsby trained as an actor but has received particular recognition as a stage director and theatre manager. He is a sought-after director of both musicals and modern classics. Ulfsby has won numerous awards for his work, and he has received the Norwegian Komiprisen comedy award five times as a director. His productions of The Jungle Bookand Bollywood Ibsen were both awarded the Hedda prize, Norway’s most prestigious theatre award. As artistic director of Det Norske Teatret, Erik Ulfsby has breathed new life into the theatre. He has increased the volume of productions considerably, reorganised the theatre for repertory and overseen a rise in audience numbers. In 2012 he also established Det Multi Norske – an education programme designed to train actors from different ethnic backgrounds in a bid to acknowledge the new Norway and reflect a more diverse contemporary society. 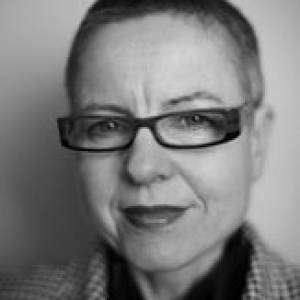 Appointed Executive Director of the European Theatre Convention in 2009, Heidi Wiley has established ETC as a European network for theatres with a focus on artistic collaboration, professional development and advocacy for Europe's major public theatres. Under her leadership, ETC became a selected partner of the European Commission and was awarded European prizes for youth and digital theatre in the fields of audience development and cultural heritage as organisation for its outstanding achievement. Prior, she internationally produced and managed theatre companies and artists in France and the UK, co-produced performances at major European and Asian festivals and venues (Hongkong International Arts Festival, International Singapore Arts Festival, Edinburgh Fringe Festival, Théâtre de la Ville in Paris, Abbey Theatre in Dublin to name a few) and was touring manager. Her background as international cultural manager includes working for the Erasmus programme, the European cultural network European Film Promotion, Fraunhofer Gesellschaft and DAAD. A studied cultural scientist, she holds degrees in Cultural Studies and International Management from La Sorbonne Paris, lived and worked in the UK, US, France and Germany over the last 20 years.